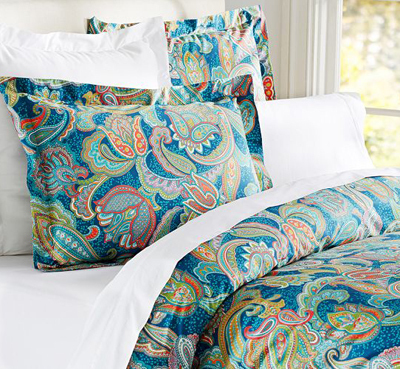 A lush, garden-inspired paisley pattern gives the Ana Paisley Duvet Cover & Sham its lovely flourish. Woven of Oeko-Tex certified organic cotton. $29.50-$129 Sale $25-$109. Buy here.